The elegant facade of Fairlawn is fairly well-maintained by the standards of the Backbay Art Deco district. There are buildings which are better maintained, and those which are much worse. But the thing that caught my eye last week was the totally inappropriate retouching of a second floor flat. As you can see in the featured photo, the windows and the balcony have been replaced by ones which clash with everything else. All other details are wonderfully streamlined Art Deco. As you can see in the photo of the balconies above, the clean lines are duplicated in the uniform unadorned rectangles on all the frontages on the road. The wonderful Deco banding at the bottom of the balconies is a lovely touch. The facade is a little plainer than the other buildings in this row. I couldn’t find who the architects were, but the building was clearly built in the mid to late 1930s, as the others. I took a closer look at the windows. 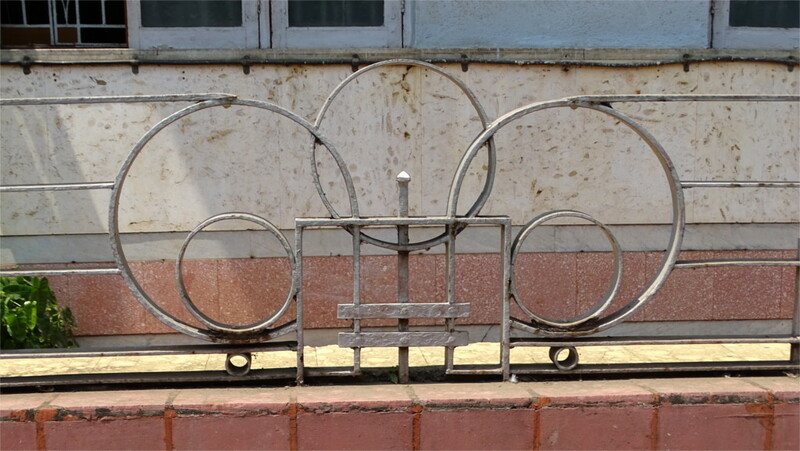 The plain rectangle was decorated with beautiful wrought iron grilles. 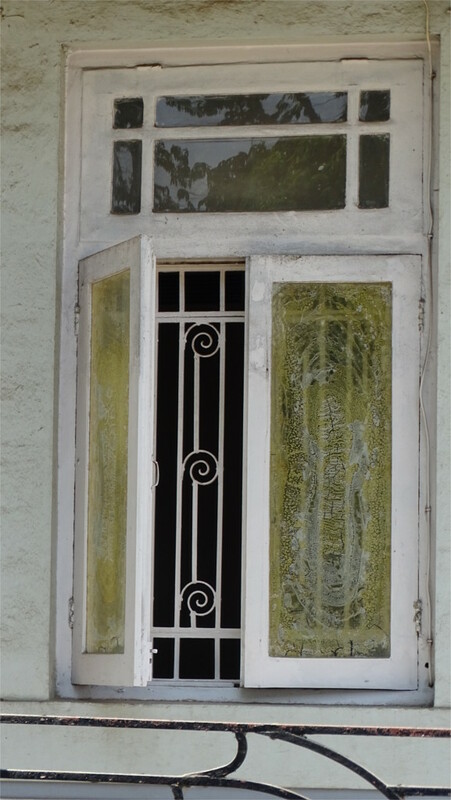 The spiral pattern is repeated in other windows that I could see, and also in the ironwork grille atop the low boundary wall (see the photo below). The boundary walls along this row are an uniform height, but the individual buildings are distinguished by the different patterns of railings. What a wide variety of forms the Art Deco style allows! A stairwell runs up from the central lobby. 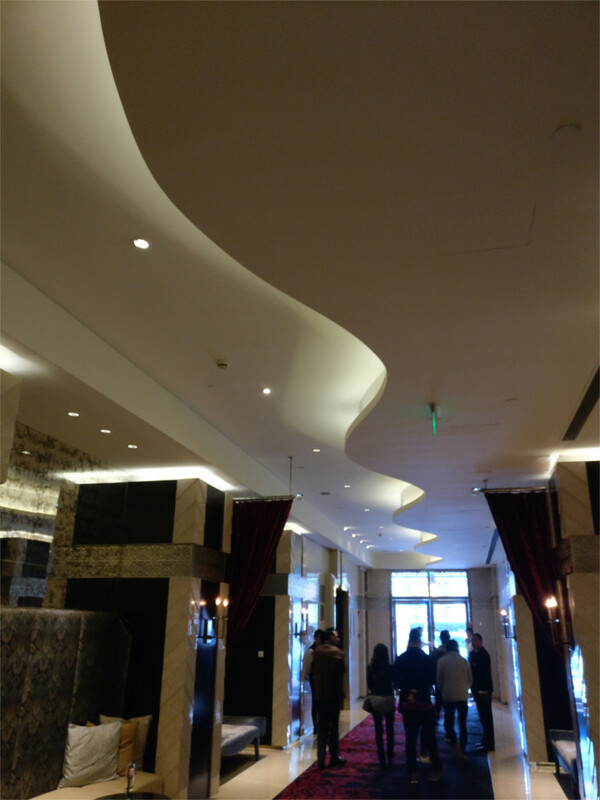 The semicircle over the lobby is also repeated in several of the buildings along this row. Behind it I found that the lobby is more plain than in some of Fairlawn’s neighbours: no stone or coloured cement. The grille atop the entrance has a different pattern than the railings, which made me think that maybe it had been installed later. As you can see in the photo above, the change in the balcony in the first floor flat jars with the understated elegance of the building. The dark wood certainly is not in harmony with the white painted wood of the remaining flats, and the rest of the buildings along the row. I guess there is no effective way of ensuring a stylistic unity against the wishes of individual owners. The elegantly curved first-floor balcony with an eye-catching stucco decoration on it (see the featured photo) always catches my eye when I’m hurrying past the Oval Maidan. I stopped to take photographs a week ago. This is the Court View house, appropriately named since it faces the Gothic-revival facade of the High Court across the open space. 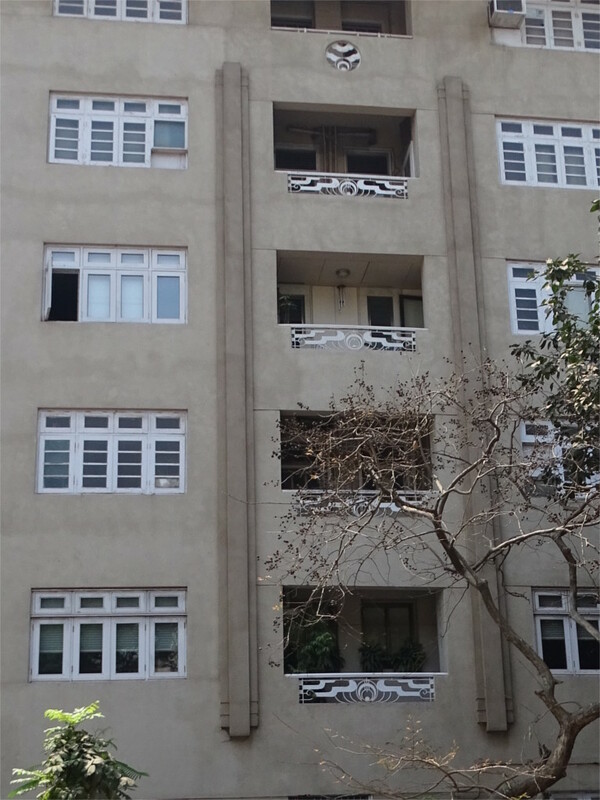 The Art Deco style is clear not only from the elegant shape of the balcony, but also the styling of the facade. 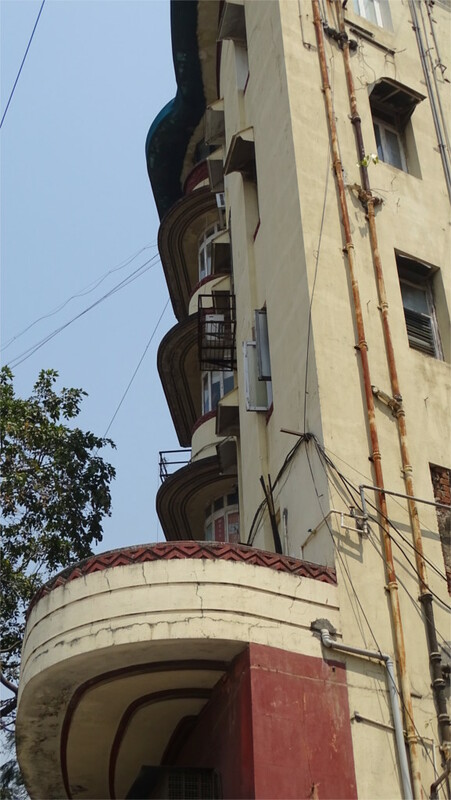 The wonderful verticals enclosing the central stairwell are typical of the style as practiced by the three firms which collaborated on this building: Gajanan Mhatre, Maneckji Dalal and Merwanji, Bana and Co. The building probably dates from the mid to late 1930s, when this space was reclaimed from the sea. 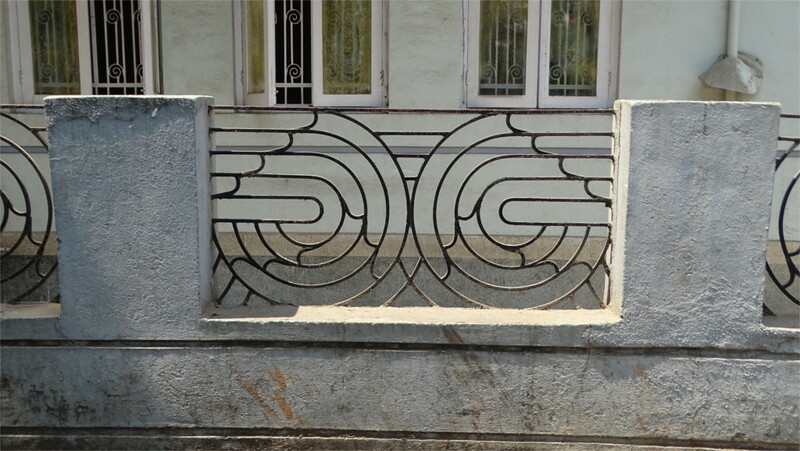 The curves of the balconies are repeated in the ironwork of the gate (photo above) and the railing around (photo below) the property. The boundary wall was less interesting than in some of the neighbouring buildings. As you can see from the photos here, the wall and the gate posts are plain, rectangular and unornamented. Since they do not agree with the colour scheme of the building, I wonder whether they were reconstructed later. 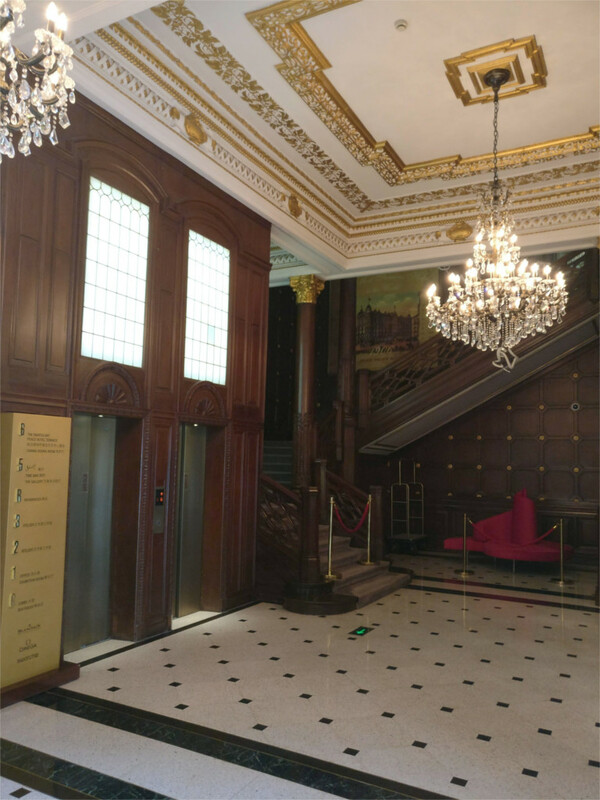 The entrance and the lobby are much more spectacular than the facade. The intricate geometric design around the door is typically Style Moderne. Stone and “colourcrete” are mixed in this. Coloured cement was very much a “modern” element of that time, and the architects used it liberally in this building. You see only a little bit of it near the dozing guard in the lobby. I didn’t walk into the building, so I didn’t get a first-hand view of the stairwell. An article in Livemint contains a wonderful photo down the stairwell. The architects seem to have gone bonkers with their coloured cement inside, in a very pleasant way. 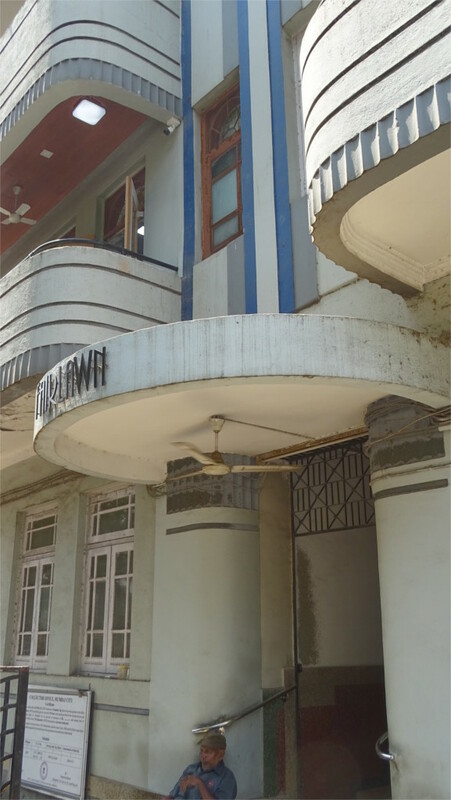 Mumbai has an extensive Art Deco heritage. 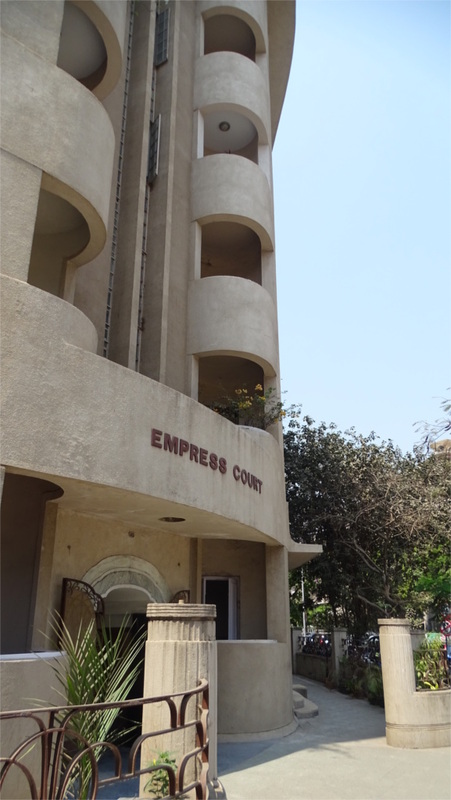 A building that I pass very often is the Empress court, which stands on Dinshaw Vacha Road, facing the Oval Maidan. It is one of the row of Art Deco buildings which stand to the west of the center of club cricket in India, facing the Gothic revival buildings across the open space. Every time I walk past it, I look at the metal rails on the balconies (photo above). Last Sunday I stepped back across the road and looked at the north facade in its totality. The Art Deco style is clear, when you do this. As you can see in the photo above, the north facade is plain, except for the vertical lines which enclose the balconies. 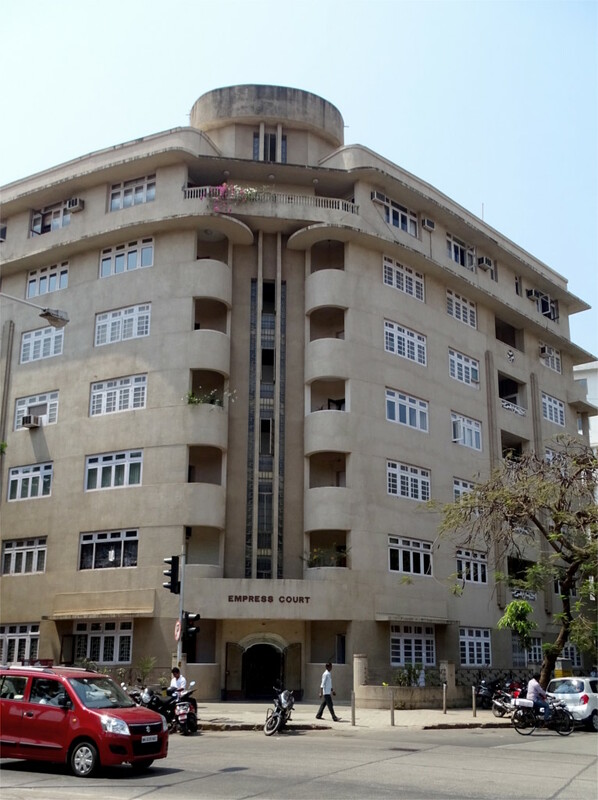 Gajanan B. Mhatre was the architect of Empress Court, and several other buildings in this area. 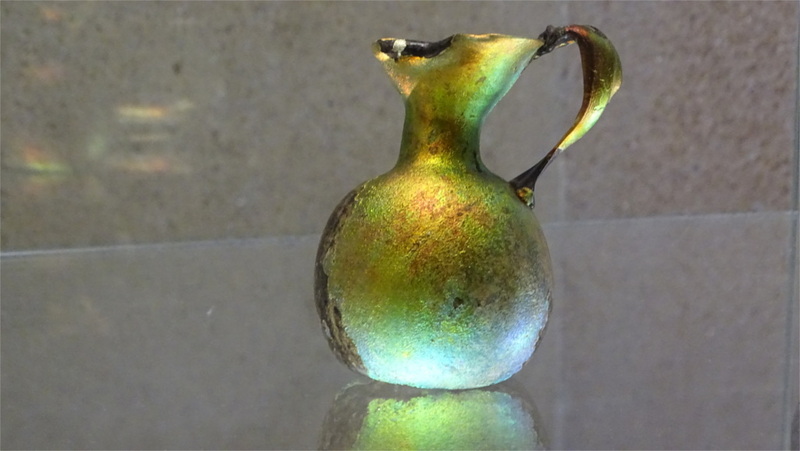 I suppose these must have been from the early period of his work, perhaps the mid to late 1930s. I moved towards the entrance, which is exactly at the corner. The lovely scalloped arch above the entrance is detailed in two types of stone. 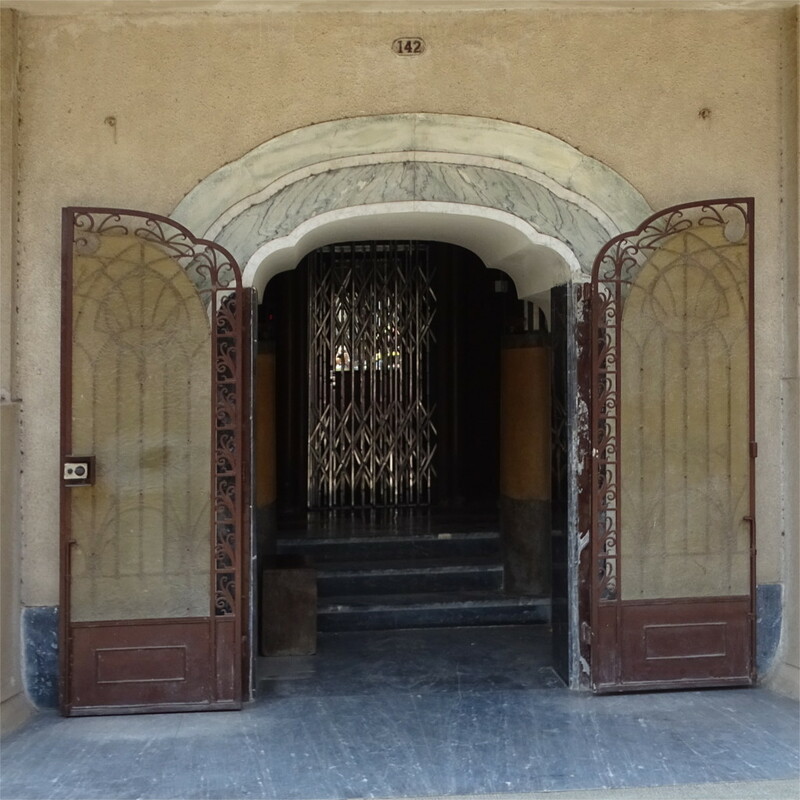 The iron-work of the door is also typically Art Deco. I didn’t enter the lobby, but it is a beautiful space made with coloured stones. You can see a bit of it through the open doors. Instead, I stepped back. From the corner you can see the streamlined shapes of the balconies massed over each other. This is typical late Art Deco. 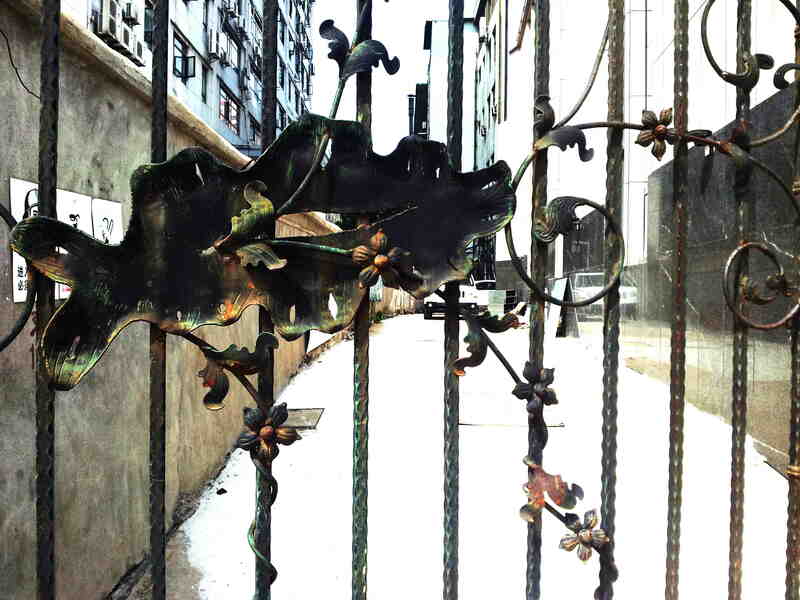 The gate post in front, and the ironwork gate are details which enhance the building. I guess some of this is the work of Kanga and Co, the executive architects on this project. I stepped back across the road, scrunched far back into the iron rails of the Oval Maidan and looked at the building as a whole. From this distance the streamlined, faintly nautical, look of the late Style Moderne becomes obvious. It is also obvious that the top floor was added later. A little poking around brought up a few references which claimed that this was added in the 1950s. So that also dates the original structure as being built between the mid 30s and the 50s. The Empress Court remains one of the best maintained buildings in this area. 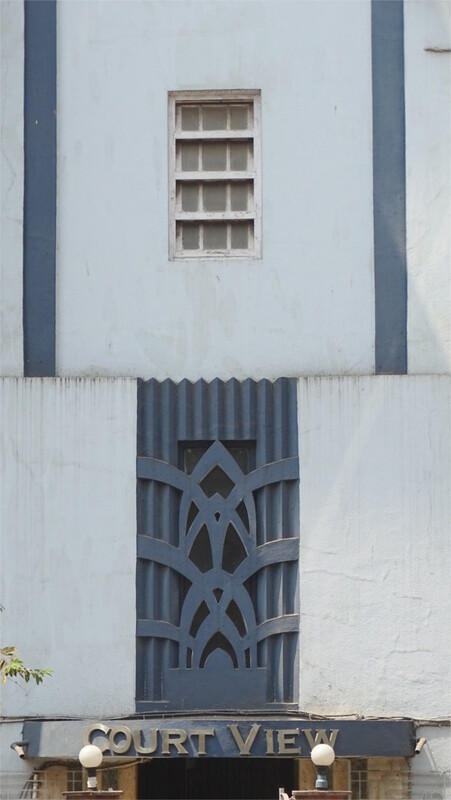 The keystone architectural piece in Mumbai’s Art Deco district is the Eros Cinema. I’d noticed that it has been shut for a few weeks, so I walked up to it last Sunday. The doors were propped slightly open, so I peeped in. 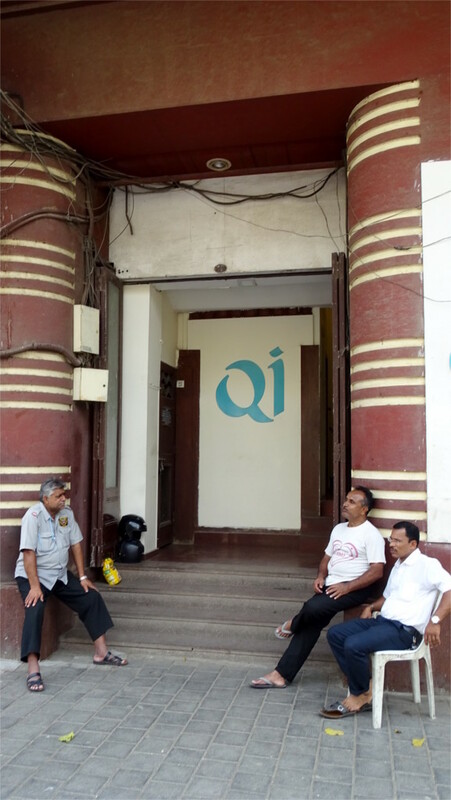 Two security guards sat outside the dark lobby. 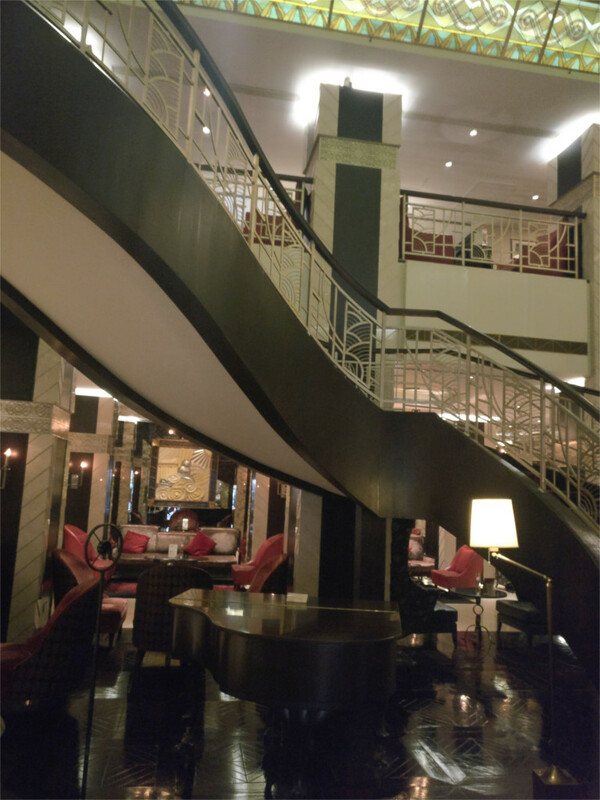 I could see the clean Art Deco lines of the outer lobby; the inner part was lost in the gloom. The senior guard saw my camera and stood up. “I have been asked to prevent people from taking photos,” he said. I appealed to his sense of filmic history, and he softened. 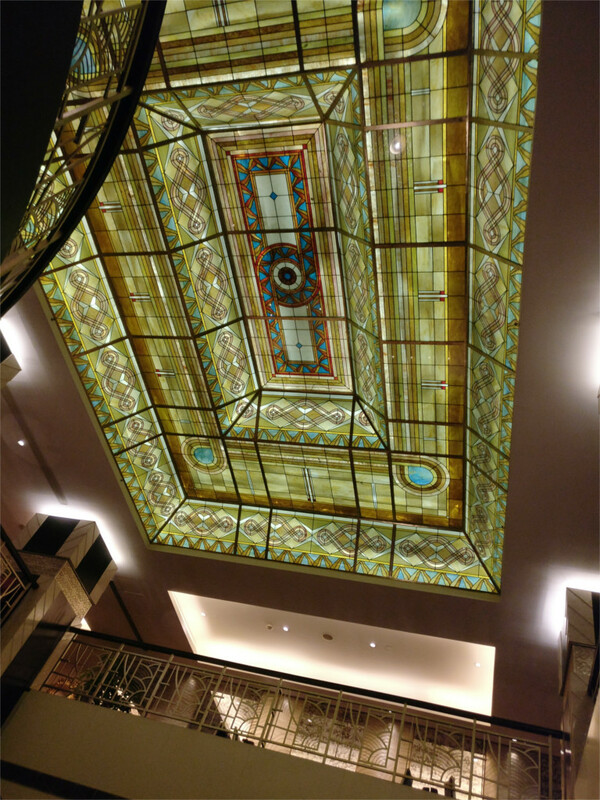 “You can take photos of the outside, but please do not take any in the lobby,” he pleaded. I stepped out and looked at the familiar building. The cinema is only one of the many things in the premises. One side has several eateries and a couple of bars. The other side has a chain cafe, and a gym. The building work had started in 1935, and the cinema opened in 1938. Mumbai’s underground will pass through tunnels below these roads, so much of this area is blocked off. 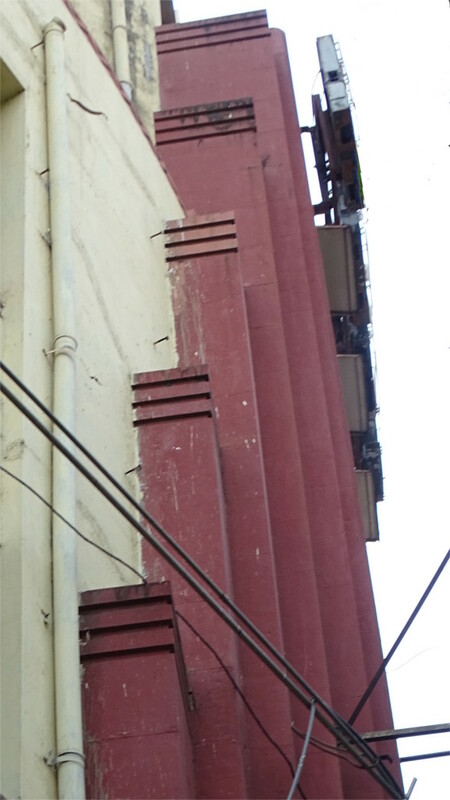 It was hard to step back to take a photo of the beautifully stepped frontage made in red Agra sandstone. I had to satisfy myself with a side view (above). There is a strange story of litigation between the labour department and the owners of the building which I pieced together from various newspaper reports I’d not paid much attention to. The cinema was shut down on the direction of a labour court which was adjudicating a dispute over unpaid salaries. 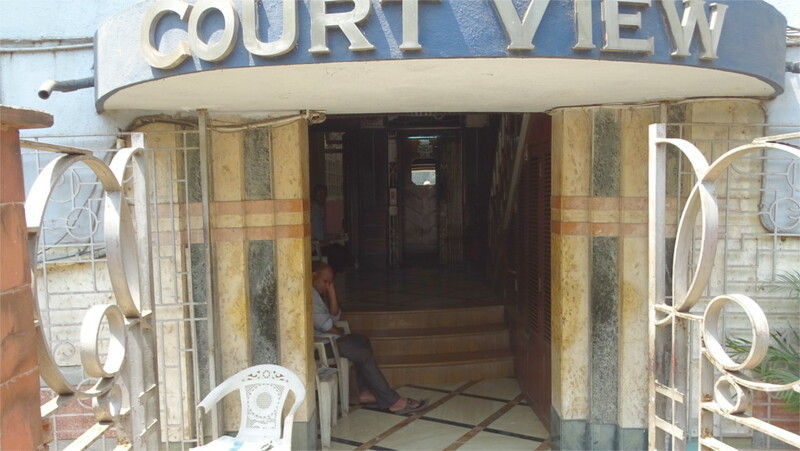 A later report states that the High Court directed the cinema to be unsealed, since it is a tenant and not the owner of the premises, and it was possibly the owner against whom the labour court had ordered action. Since the cinema has not reopened, it is possible that a counter-suit is in progress. It would be a comedy of errors, if it were not for the tragedy of one of Mumbai’s iconic buildings lying neglected and in need of repairs (as you can see in the photo above). I walked round to the back of the building. The profile that I could see from here was a typical late period Art Deco profile: If you could mentally subtract the clutter of wires and pipes tacked on over the years, you could see the elegant curves and long straight lines of Art Deco. 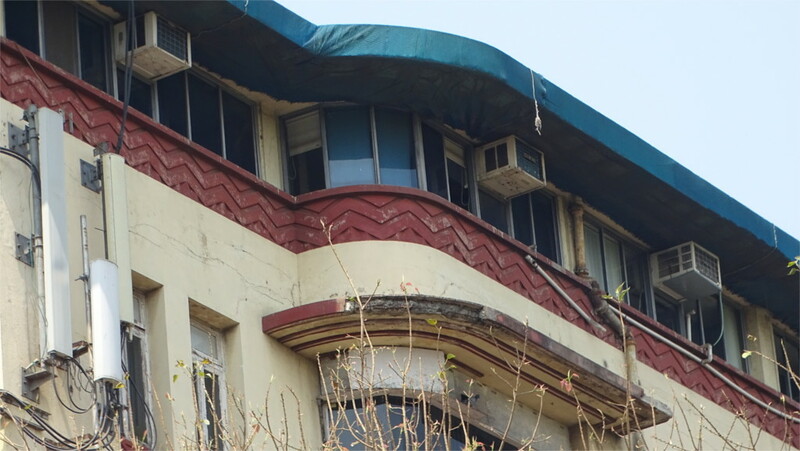 The details in red over the cream coloured balcony, and under it, were also straight out of the Art Deco design book of the architects Shorabji Bedwar. Just before I walked in to the cafe for my shot of espresso, I noticed the side entrance with a trio of guards passing a quiet Sunday morning chatting with each other. One beautiful detail caught my eye. 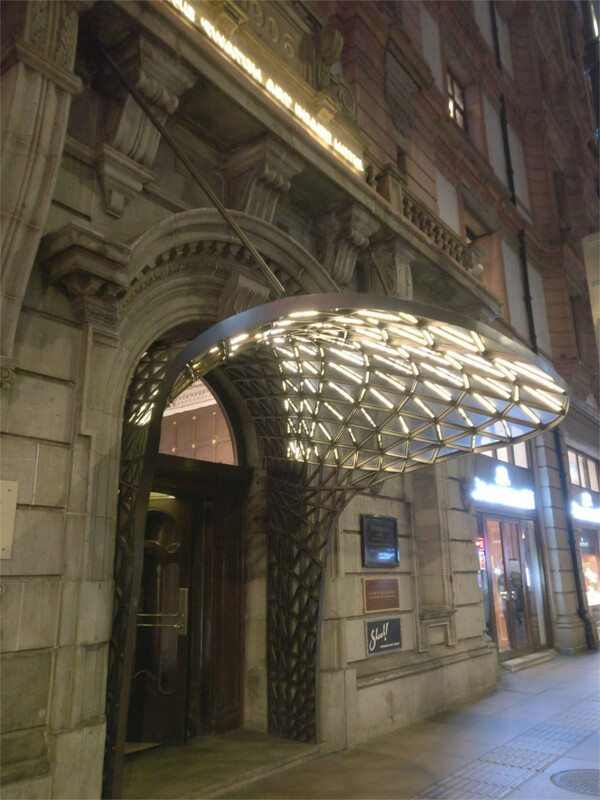 The holder for the light above the entrance is outlined in a neat white circle. A nice light touch, isn’t it? 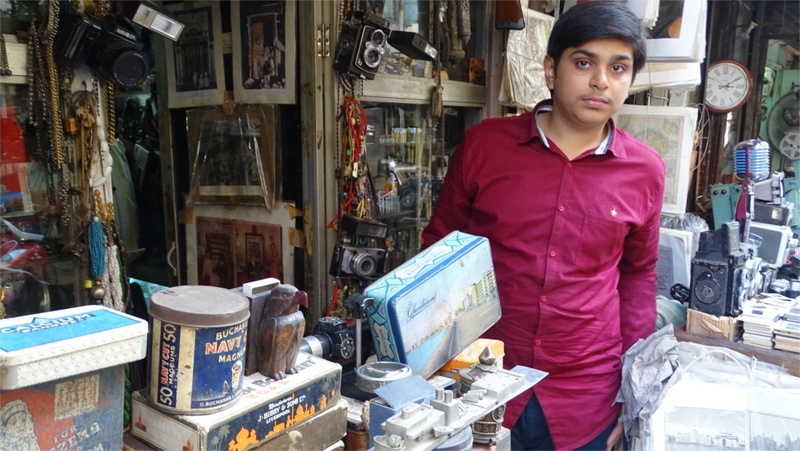 An off-beat walk that one can do in Mumbai is to stroll through Chor Bazaar. To get there, follow Mohammad Ali Road until it crosses S. V. P. Road (Sardar Vallabhbhai Patel Road, if you are a pedant), then go westward along S. V. P. Road and turn into Mutton Galli. 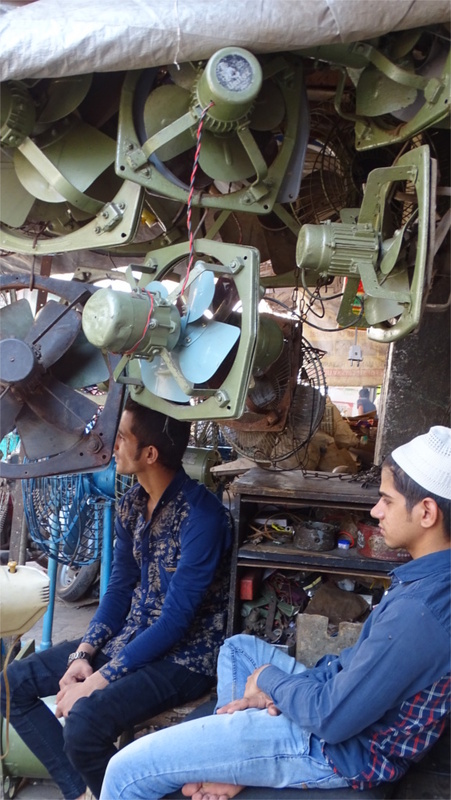 Why chor bazaar should displace the mutton vendors whose galli they sit on is a topic ripe for urban historians. But the moment you turn into the road you know from the bizarre collection in each shop that you can be nowhere else. One of the first stalls that I saw had used fans of all descriptions: exhaust fans, pedestal fans, table fans, and ceiling fans were what I recognized. The two young men selling these things were not averse to being in a photo. Further down was a bright yellow shop which sold any variety of hardware. 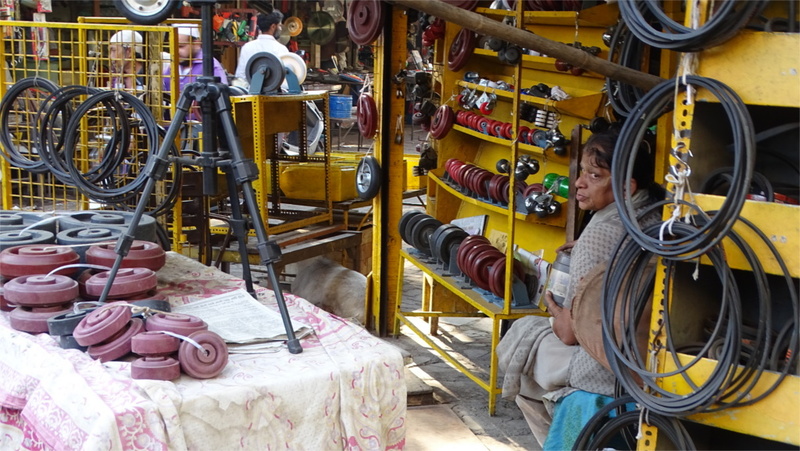 I spotted a camera tripod standing in lonely majesty among polishing wheels. If chor bazaar was really a den of thieves anytime, that must have been long ago. It is rapidly gentrifying. A couple of turns later we came across a section of the bazaar which looked like a supply store for films. There were period object: empty tins of Cadburys from the 1950s, an empty cigarette tin of the same vintage, even some tins of patent medicines which could easily have been used by Sadhana in one of her movies. Further along there was a small store selling vintage advertisements. When you looked closer they seemed like today’s idea of the 1960s. Could they have been real? It would need research to establish it either way. We walked on and came to the section of the market which sold furniture and light fixtures. 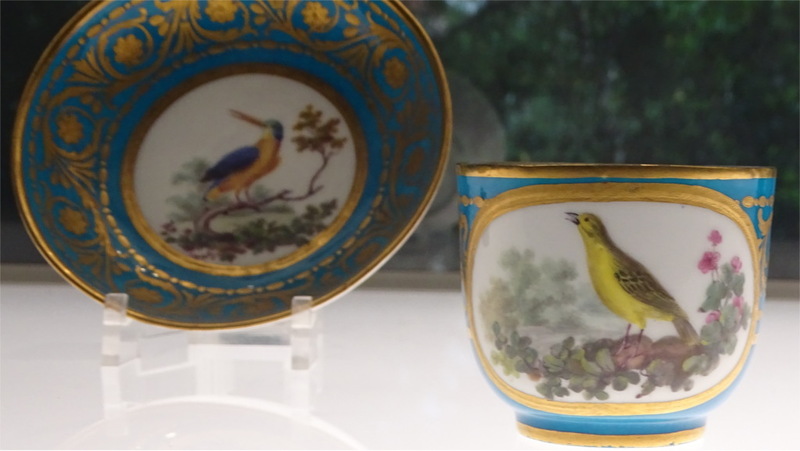 The furniture vendors were quite clear about which of the pieces were reproductions and which were new. Perhaps this depends on whether you know wood. Ten years ago I’d seen a genuine Art Nouveau piece, a tiny shelf with an asking price which was a touch more than I was ready to pay. I still regret not bargaining for it. Today I saw an imitation Art Deco piece made of the right wood and materials, but looking too new. The price fitted my evaluation. In a nearby shop I had a long chat about an Art Deco bar which seemed to have been made to the specification of an eccentric Parsi gentleman. 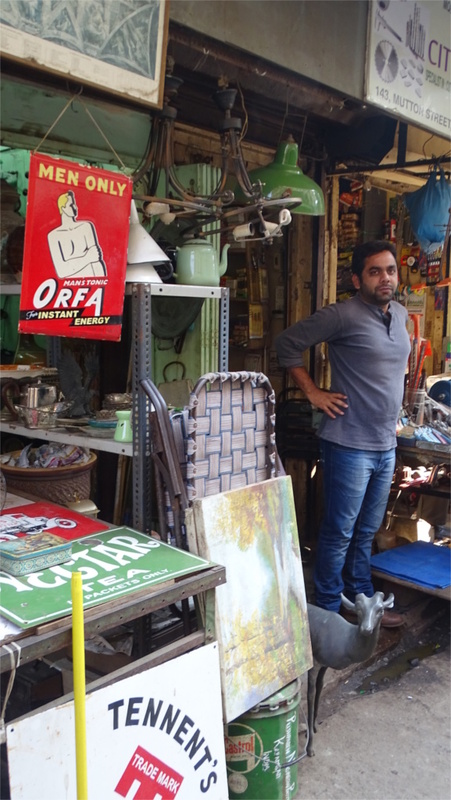 Apparently much of the older furniture which reaches the market today is sourced from the estates of Parsi families. It was getting very warm by now. The two days of winter in Mumbai are over. I looked across the lane from the furniture shops and saw a tiny stall which seems to specialize in lamp shades. 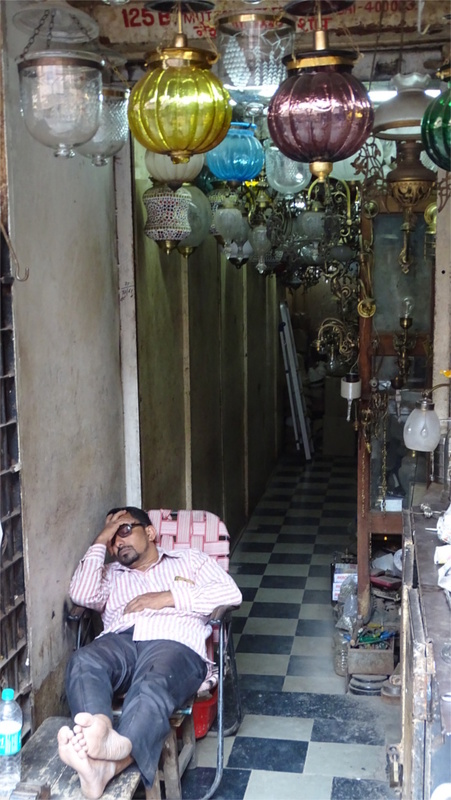 The shopkeeper was taking a siesta. It was good to take the hint and bring the walk to an end. Wuhan is a sprawling town which incorporates the three former towns called Wuchang, Hanyang and Hankou. Wuchang is famous for the revolution of 1911 which overthrew the Qing dynasty and eventually gave rise to Kuomintang China. Across the Yangtze river from Wuchang is the square mile of Hankou which was ceded to foreign powers by the 1885 Treaty of Tientsin. I went to see the Wuhan Bund which was built as a flood-protection measure on the Hankou side of the river in 2005. While exiting the Bund on to Yanjiang Dadao, I noticed that there seemed to be several Art Deco buildings on the other side of the road. In the photo above you can see the former Hong Kong and Shanghai Bank right in the center. 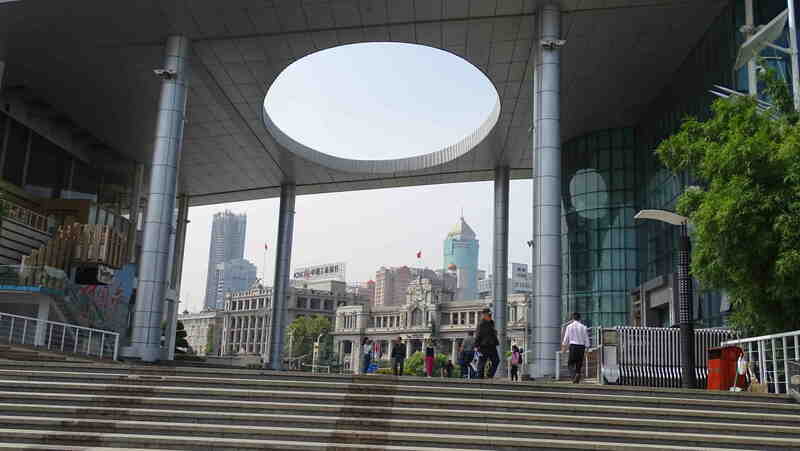 In the photo it appears in front of the tall blue tower called the Jiali Plaza, once the tallest building in Wuhan. Next to the HSBC bank is the old National City Bank of New York, now the ICBC Bank. These two buildings are flying the Chinese flag. I crossed the road and realized that the massive building which was once the Port of Hankou was also an Art Deco structure. 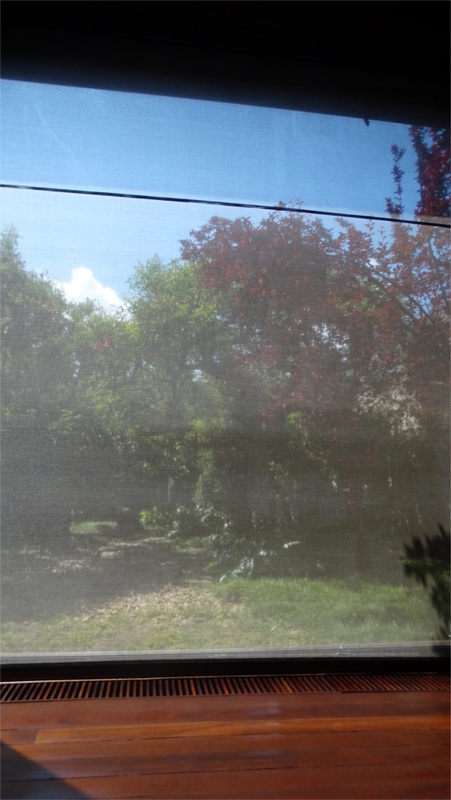 You can recognize it in the clean curves you see in this photo. 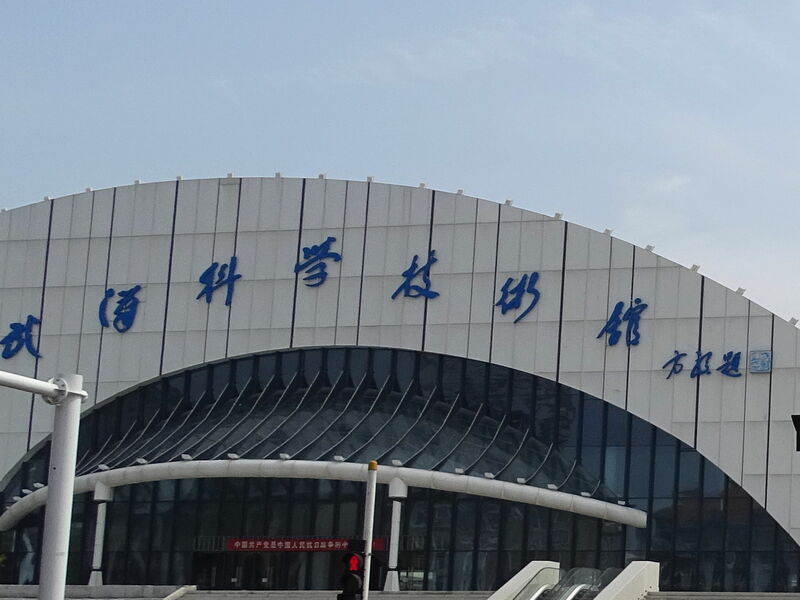 I wish I could read what’s written on the facade; I’m still unable to read calligraphic Chinese writing. Other parts of the port have the straight lines and curving flares typical of this style. 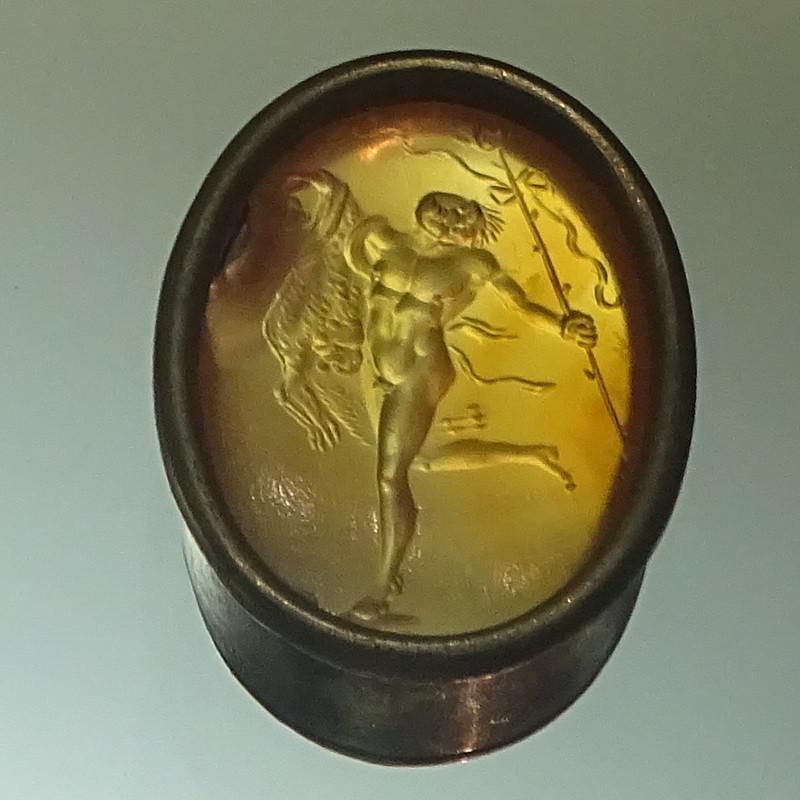 The discovery of Wuhan’s Art Deco past was a bit of a jolt. I had very little time to explore it. I continued walking away from the Bund and towards a building that I later realized was the Old Customs House. At the street level, shops had put up their own facades, but if you looked higher you could see several buildings with tell-tale Art Deco lines and trim. I was amazed. This part used to be the old British Concession, and I’d expected the heavy late-Victorian architecture of the late 19th century, not the light and playful Art Deco of several decades later. 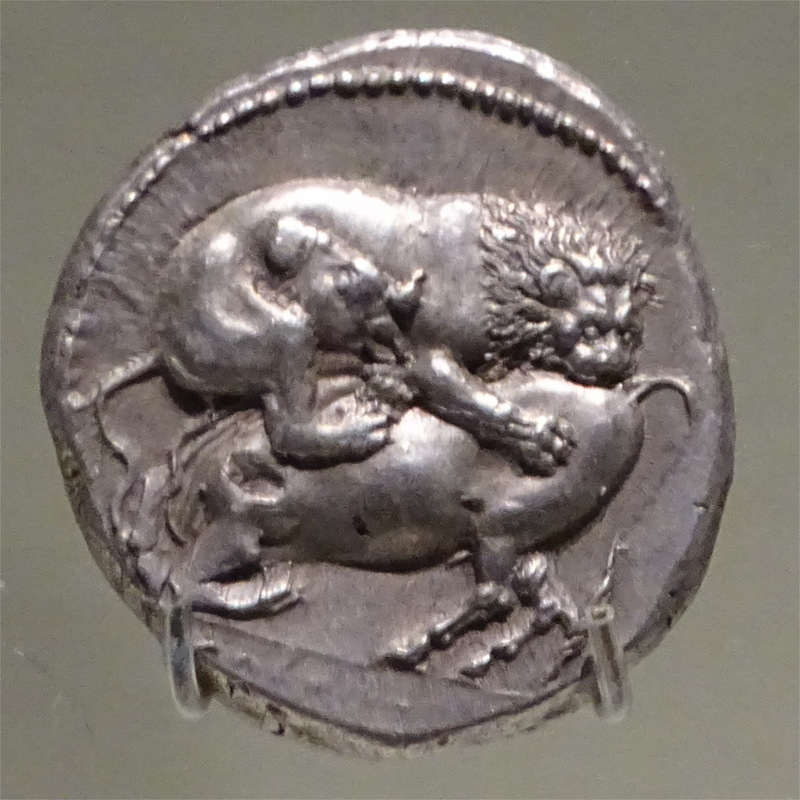 Afterwards, when I thought about it I realized I should not have been surprised. 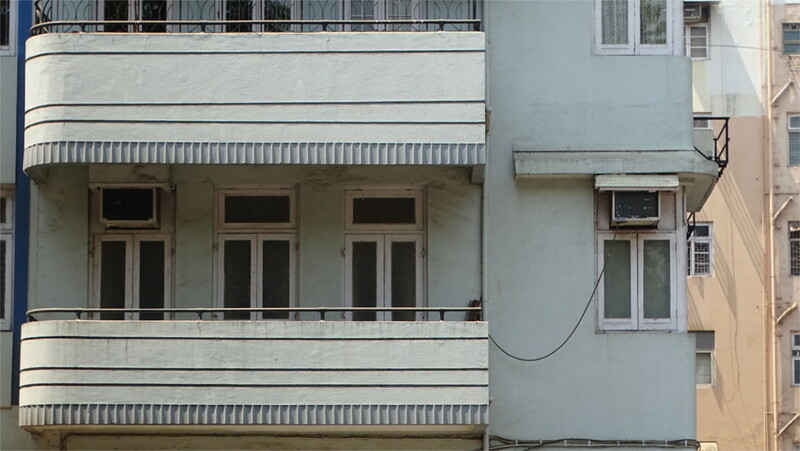 Even in Mumbai there is a mixing of these two architectural styles. On my ten minute walk I also saw Art Nouveau in many places. 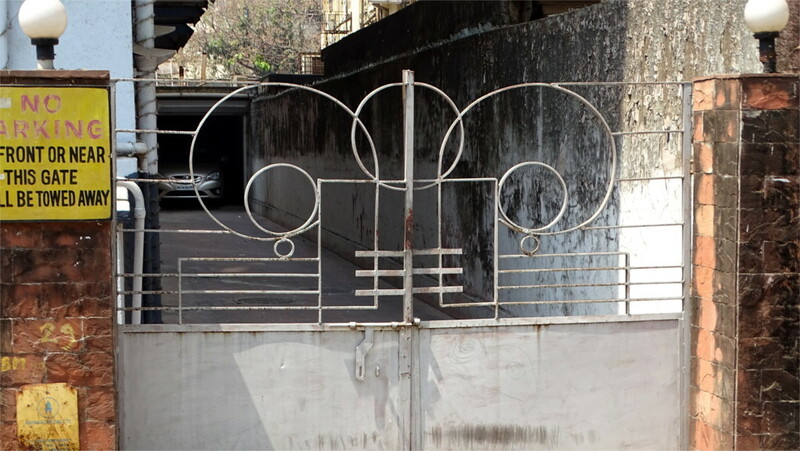 One example was this neglected gate: the superposition of the playful vines on the straight lines of the grilles is a lovely piece of Deco. This was almost my last discovery. My walk ended at the Customs House, and the Social Realist style statue nearby commemorating the city’s protection from floods. I realize now, while browsing the net, that this period of Wuhan’s architecture is well-known but ill-documented. Certainly the neglected gate above, with its mixture of Art Nouveau and Chinese styles is an unique, but unremarked heritage. When I go back I must devote more time to exploring this area.